Beginning Fall 2017, The Res began a campaign to recognize the contributions of our passionate volunteers, donors, friends, and loved ones who value nature and education as The Res does. This is an opportunity to remember those who have made The Res into the thriving place it is today. 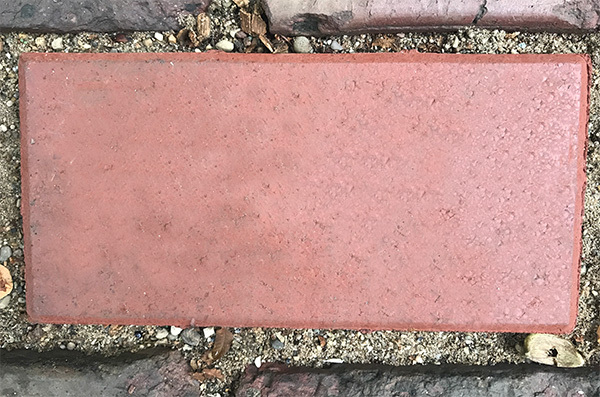 You can leave your mark by making a donation of $100 per brick to be placed in the pathway to Jernegan Lodge. You can specify the text to be engraved on the brick (all text is subject to approval). Complete the form below to customize your brick and begin the process. You can select whether to mail a check or pay online. Your brick will be ordered only after payment is received. I will pay online. I will mail my check. This is a preview of what the brick will look like. Fonts and sizes may vary from this preview. All text is subject to approval.